The market for selling your business isn't the same one your business operates in. As always, we should look at the economic reality in context. If you’re an entrepreneur, you know that all of these factors can present as either opportunities or threats depending on the conditions. When you’re looking to make a life change and sell your business, you should remember that the market for selling a business is not the same one your business operates in or that you participate in as a consumer. Let’s look at the market for privately held business sales from a different perspective. There is one thing that has had a bigger impact on the global economy more than the price of oil and the Chinese economy: the Baby Boom. As consumers, workers and entrepreneurs, Baby Boomers have had a major influence on global economic activity. Now they’re aging and influencing everything from the real estate market to travel to the investment market. Warren Buffet invested in an RV manufacturer over 10 years ago for a solid reason: Baby Boomers. This generation of movers and shakers are hard workers so they’ll hold on to their enterprise longer. But ‘time waits for no man’ and eventually they’ll get to the age where they want to sell. The aging of this generation is a sure thing. Period. This exodus will have more effect on the market for business than any geo-political or financial event of the next 25 years. • Too many sellers. A market flooded by retiring Baby Boomers who want to sell their businesses will have an overwhelming negative effect on the price of businesses. Waiting too long to sell could put you in a buyer’s market. • Avoid timing the market. It is optimal to sell when it is physically and emotionally right for you. Keep in mind that high quality businesses that contain key buyer ‘wants’, will sell through any economic time. • Be prepared. Fire sales (due to health concerns or sudden family changes) of businesses don’t go smoothly and don’t garner the best prices. Planning early ensures your business is in tip-top condition and will bring a strong price. In the best-selling book by Canadian economist David Foote, “Boom Bust & Echo”, Foote describes the generation after the Baby Boom as the Bust or small generation between the Baby Boomers and their children. This generation (born from 1965 -1979) are just hitting their professional and financial stride as their children grow up and they enter their prime earning years. In Saskatchewan, this group has been down-sized, right-sized, frozen out of jobs and shipped out of the province. They are educated, knowledgeable, skilled, determined and hungry. Again, despite what current economic news will tell us, these buyers are ready, willing and able to take over businesses. For an entrepreneur ready to exit, the following generation will create a strong market for businesses over the next 10-15 years. • Get in shape. Buyers today have done their homework. They know what makes a strong business so they’re looking for opportunities that have potential. A strong business will bring a high price especially if it has remained strong despite difficult economic conditions. • Don’t pull your own teeth. Consult with professionals who can advise you— lawyers, accountants, financial planners, business brokers and specialized business consultants. You know the market for your products but you likely haven’t sold a business before. Experts can see your business the way a buyer would because they’ve been on both sides. The price you pay for their perspective will pay dividends in the price you get from a buyer. • Get creative. Seller financing and earnouts become essential to closing deals in a weak economy as banks tighten their lending, making it more difficult for prospective buyers to get a loan. Flexibility in this area can be the difference between a business not selling at all or a business that receives multiple offers and sells in record time. For the sake of comparison, let’s look at what’s happening in the public markets. Erratic performance has caused buyers to turn to private investments for acceptable yield and a balanced level of risk. Who really thinks that a GIC at 2% is an acceptable investment? Private business sales often feature an internal rate of return of over 30%. This return can be especially appealing to a confident buyer who has the ability to manage operational risks such as staffing, marketing and leadership. The business results and yield of a privately held business may very well be the best investment vehicle in difficult economic times. An enterprise with a solid exit plan for the owner, a robust customer list and loyal employees can bring a very strong price in a struggling economy because it’s a good investment and smart buyers can see that. working on the elements of your business that buyers are looking for. • Polish the business. Clean up! Production processes, accurate bookkeeping, strong supplier relationships, long-term employees and a solid marketing plan will show a buyer that your business is a valuable opportunity. • Prepare a roadmap for success. Present a compelling case to buyers as to why your business is set up to thrive despite the economic slowdown. • Offer your expertise. Synergistic acquisitions (where you are purchased by a related industry buyer) will often rely more heavily on the owner to transfer key knowledge and to ensure the merge is optimized. • Buyer focus is key. To get the best price, you need accurate insight into the target buyer group and how your business would be unique and add value to their portfolio. Identify these strategic buyers and go after them. Identify related industries that would benefit from acquiring your business. Expose the business to the broadest number of qualified target buyers. Regardless of economic trends, a business whose strengths have been optimized and whose conditions of sale are flexible will attract the right buyer—on a timeline that works for the seller. 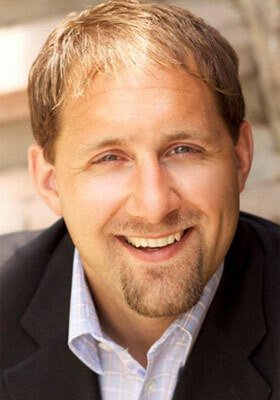 Travis Kellett is the founder of Bridgepoint Business Brokers.